Becoming an orc is not particularly all that easy. Or is it? This Green Brutal Orc Mask with Hair makes turning into an orc a simple affair. You will not just be any orc, but one of the most violent looking sub-human monsters around! 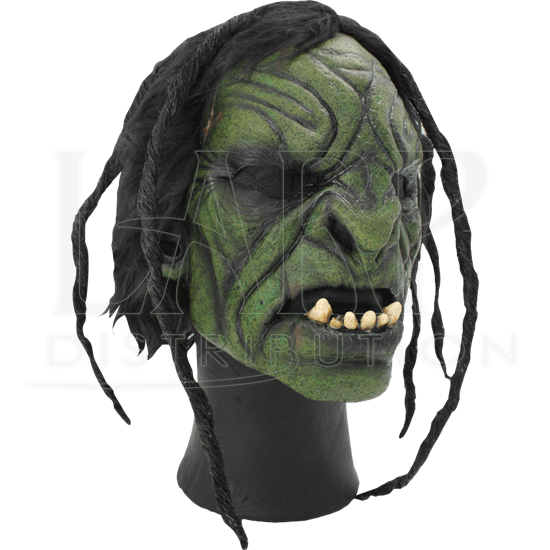 This wicked mask carries with it a truly impressive level of fine detail, so much so that from a distance, with good costuming to back it up, you will look just like an orc from fiction or even from films! When worn, this mask bestows a dark green skin tone, one that is heavily wrinkled and highly muscled. It even boasts a few scars, which only enhances its warrior-orc look! The short, flat nose is bestial and feral looking, while the lower lip is set with protruding, yellowed fangs. The mask features open eye slits, nose holes, and a mouth, which moves with yours, thanks to the way the mask fits around the chin. Adorning the skull of the mask is stringy black hair, fashioned into three warrior braids on each side of the masks face. The interior of the mask also features an elastic headband, for ease of use. 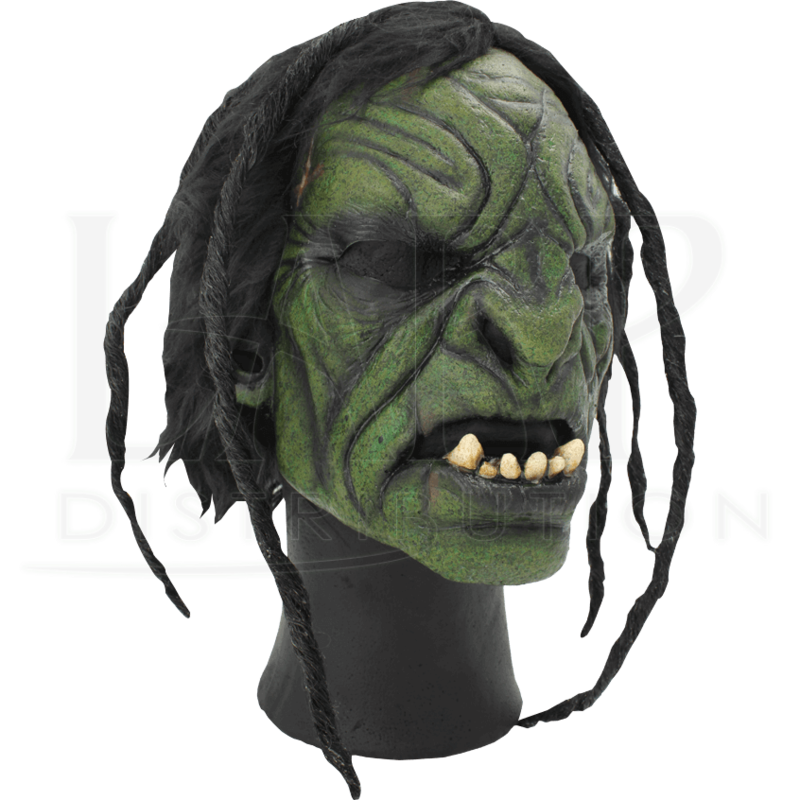 This Green Brutal Orc Mask with Hair takes all the hassle out of making yourself into an orc. Forget the hard work and wear this mask instead, because its overall appearance is almost impossible to beat!